"Eight years ago, at age 56, I had a near fatal heart attack that necessitated emergency bypass surgery and repair of a torn aorta. I was a healthy woman, or so I thought, who exercised regularly and consumed a Mediterranean diet. My right coronary artery was 99% blocked. My surgeon only gave me a 20% chance of surviving. Thankfully, I did. During my recovery I adopted a Whole Foods, no oil, plant based diet after learning about this through my sister who was a nurse practitioner at the Cleveland Clinic. She told me about the research conducted by a surgeon there, Dr. Caldwell Esselstyn Jr. His research had shown how 17 critically ill heart patients had prevented progression of their heart disease and in some cases even reversed it by eating a diet of whole foods with no added oil. I was also fortunate to have attended one of Dr. John McDougall’s Conferences in Hawaii where I continued my learning about the health benefits of a whole food oil free plant-based lifestyle. Always wanting to learn more, I received my certificate in plant based nutrition from the T. Colin Campbell Center for Nutrition Studies through e-Cornell University in 2014. NOTE: Dr. Esselstyn went on to publish a study involving 198 patients and has continued to practice medicine in his 80's! A Dominican Vegan! How in the world did that happen? That way of eating was not part of our culture. All I knew growing up was the Bandera Dominicana, The Dominican Flag! Rice, beans and meat, platanos; starch and more starch with a side salad. At 9 years of age I was Diagnosed with Type 1 Diabetes, an Autoimmune disorder. I remember my mother crying in the Doctors office as if I had been given a life sentence. Truth is, I was. Diabetes ran rampant in my family, just about every senior family member on my dads side had diabetes. My mother was devastated. I guess being the 1st grandchild, I was also the lucky one. The silent killer is what they call it. Challenging to manage, ever changing day by day, hour by hour and meal by meal. A Deadly illness, if left uncontrolled, could kill you. Slowly. As a diabetic child I wasn't taught much about the illness, and neither were many of my closest Diabetic friends, that I met at a Diabetic camp for children. We were taught MEDICATION and not NUTRITION. We grew up believing that as long as we took our medicine, injectable insulin, that we could keep right on living; eating and drinking whatever we wanted. But we were so wrong. By age 19, I started losing some of those same childhood diabetic friends. By age 25 some were on dialysis, some, lost limbs, went blind and unfortunately some didn't even make it that far. Talk about being scared to death. At age 26 I had my son, 7 months prematurely via an emergency c-section, due to Preclampsia. At that time, I was also diagnosed with Hypertension and Hypothyroidism. By age 30 I had high cholesterol. By age 35, I had diabetic retinopathy. 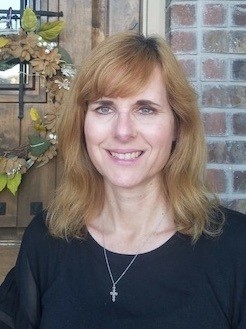 By age 40 I was diagnosed with Rheumatoid Arthritis, Osteoarthritis and Diabetic Gastroparisis. After years of suffering with all these ailments, I just assumed that this was my fate. One auto immune disorder led to another autoimmune disorder. Diabetic Gastroparesis; slow stomach emptying. My stomach would hurt after every meal, I felt full after 2 bites. I suffered from chronic constipation, my belly would painfully balloon as if I were pregnant. I was told that it was all because of my Diabetes. Bone spur in my heel, bone spur surgery in my shoulder, trigger fingers surgery, dupuytrens disease, hand surgery, bone spur in my toe- surgery twice! My Orthopedic Dr., after my zillionth cortisone shot would say "its the diabetes Von". Cortisone shot after cortisone shot, my blood sugar would be so high for days and I steadily gained weight. by December 2014, I reached 198 lbs, which at 5'5 was a lot of weight to carry. But all this was MY normal. The more I weighed the more Insulin I needed. it was a vicious cycle. Then one day watching history documentaries, I came across a documentary called "King Corn" on Netflix. This documentary talked about the dangers of High Fructose Corn Syrup. That documentary led me to another documentary, "Sugar Coated" and then "That Sugar film." Documentaries talking about the dangers of sugar and how much of it is hidden in our foods. No wonder I couldn't get a handle on my blood sugars. I started reading all the food lables in the grocery store. It would take me hours to shop, looking for high fructose corn syrup, sucrose fructose and all kinds of Ose hidden in the foods. I was DETERMINED to get better. The more I watched and learned the more I wanted to learn. I became a docujunkie. "Reach One Teach One" became my motto, because the one that I wanted to teach was ME. But I was still in a lot of pain. I began to hate eating. The pain was terrible. I would sit down to eat a meal, take 2 bites and push my plate away. Nothing was appetizing. I went to one Gastroenterologist who did a colonoscopy. Unfortunately or fortunately, he found nothing wrong. More months of this discomfort, then I went to another gastroenterologist who decided to do an ultrasound and my 3rd stomach emptying test. The ultrasound revealed that I had a 10 milímeter gallstone. They removed my gallbladder but to no avail, I was still in pain. They put me on medications that gave me the runs, painful cramps and awful side effects. I was surviving on smoothies and eating out of tea cup dishes while trying to get a handle on my blood sugars that were rollercoastering from high to low, I was miserable. I found a Dr. which after talking about my thyroid my aches and pain recommended I go vegetarian, that was easy I didn't eat red meat or pork anyway. A friend of mine who is also a type one diabetic and a raw vegan, led me to Dr. Joel Fuhrman's YouTube videos and his book Eat to Live. After reading Eat to Live, I gave it all up instantly! That was March 2015, by June I was down 20 lbs. My Dr. asked me what I did, I said, I went vegan! My cholesterol stabilized and he took me off of the statin. We did an ALCAT food sensitivity test which revealed foods that triggered inflammation in my body. I removed those foods from my diet as well. 3 months after that, I was down another 20 lbs. The weight was falling off and he took me off one of the blood pressure pills. 3 months later I had lost another 13lbs and he took me off the 2nd blood pressure pill. In that time frame My A1C dropped from a 7.8 to a 5.5 and my insulin totals were cut in half. My inflammatory markers came down and my joint pain improved. My husband is also 95% on board now. It has been a transition for him. I don't force it. He has come to this decision on his own, after watching me improve my circumstances. Two years ago he had ulcer surgery and was told that he would be on medication for the rest of his life. Changing his diet has controlled his hyperacidity and his asthma. Im happy that he has not had an asthma attack in 2.5 years and at now 52 he takes no medication. In 3.5 years I have turned my health around, maintained my weight and have kept my A1C stable. I've watched so many documentaries on food and health and have read so many books. It has become my passion. I'm happy that I have helped a few of my friends, coworkers and a couple of family members change their circumstances simply by sharing my journey. Truth is, I'm just a regular person like them, and if I can change, they can too. It's not that hard to make the change, all we have to do is make the choice and then take the first step. Plants saved me, now they sustain me. My name is Céline. I am 57 years old from Granby, in the province of Quebec, Canada. All my life I was obese or morbidly obese. It has always been the struggle of my life. My mother started bringing me to Weight Watchers when I was 11. My highest weight was 293 pounds in my 30's. On October 2, 2006, I had a gastric bypass and went down to 165 pounds. The problem is, they operate on your stomach, but not your mind, so after about 5 years my weight started to go up again. I tried to put myself on diets again, but after losing a few pounds, I would started eating what I craved and as you can imagine, up again I went. At the beginning of 2018, I was up to 216 pounds. I was so discouraged and I could not believe that I let myself down this way. My mother and 3 of my aunts all had cardiovascular blockages and all died from cancer before their 70's. My brother had a stent put in is heart at the age of 46. I took my retirement at the beginning of 2017 and I was more conscious that I wanted to grow old healthy to be able enjoy it at the fullest. 5 years ago I took a class of Vegan Nutrition. I loved it, but never went all in because I thought it was a bit extreme, and mostly by peer pressure that think you are crazy. In May 2018, I started to watch the documentaries Forks Over Knives, Cowspiracy, What The Health, & Food choices, and it became clear that it is the way to go. So I decided to really follow FOK seriously. I found that I don't crave for chips, chocolate or over eat anymore. I feel good after a meal and don't have the feeling that I need to go rest during digesting. I try a lot of new recipes, some are a great success and some not so much, but it doesn't matter I have fun with this new experience. I don't see what is happening inside my body, but believe it is doing as great as the outside. When I put my clothes on or when I look in the mirror, I can now say I love what I see even if I know that I have another 25 pounds to lose. For once I don't stress about it and believe that this way of eating will get me there because logically it is impossible to gain. It really is a great change in my life and now that my eyes are open with this knowledge, I feel it is impossible to close them again. Here are my pictures before at 216 and after at 184 pounds. I hope next year to put another after picture with my goal weight. I started gaining weight when I was 24 years old due to a more busy lifestyle and food has become a sort of comfort to a stressful fast paced life. It hit me bad at 29 years old when I was diagnosed with essential hypertension. I was not at all surprised as it runs in my family. Both of my parents had it and more. My father had several strokes when he was in his forties and my mother had pacemaker at age 64. The both passed away due to heart disease. So I was given maintenance medicines both for high blood pressure and high cholesterol. I also tried many diets and enrolled in a gym but none of them lowered my blood pressure nor improved my overall health. My cardiologists kept adding more medicines to control my blood pressure. I also developed adult onset asthma and had osteoarthritis of the knees. 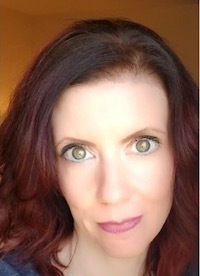 At 44 years old I had a radical hysterectomy that I had sudden menopause because of it and it made my health turn for the worse. I still tried so hard on trying to fix my weight but to no avail and my medicines kept on increasing. Until one day in July of 2014,while browsing on the internet, I saw a video interview by Dr. Sanjay Gupta titled “ The last heart attack” and it opened my eyes to the possibility of reversing my heart disease through a plant based diet. So I did my research on this by reading articles and also watching videos like Forks Over Knives, Pcrm.org, Nutritionfacts.org, Dr. John Mc Dougall and many more. So I started following a whole food plant based diet the following month. It was not an easy start but I was determined to heal my body. A few weeks passed and I noticed that my asthma was gone. And then I noticed my knees didn’t hurt anymore especially when going up and down the stairs. My weight started to come off. My blood pressure started to go down and so did my cholesterol without taking statins. I will be turning 56 this December and I wish I could say that I no longer take medicines but I now take one low dose pill and a Vit.B12 when it used to be multiple . I rarely get sick anymore, have lots of energy and I sleep like a baby. I was recently joined by my husband in this journey. My husband and I loves to travel and we take hikes where other people of our age might not dare to try. It might be a longer journey for me but I know this is in the right direction. Part of my life mission now is to help others who want to be in this path as well. I am actively sharing this lifestyle to our family and friends and on social media. I've always had an interest in health related topics for as long as I can remember. My mom was a nurse, as my grandmother. However, I never connected the power of the food we eat to our health status until many years later. For starters, I suffered from a poor immune system, frequent digestive issues, hospitalizations for common illnesses, and depression/anxiety for most of my childhood and early adulthood. 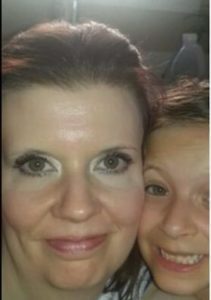 By the time I got married and had my first two children, I was in an incredibly unhealthy state. 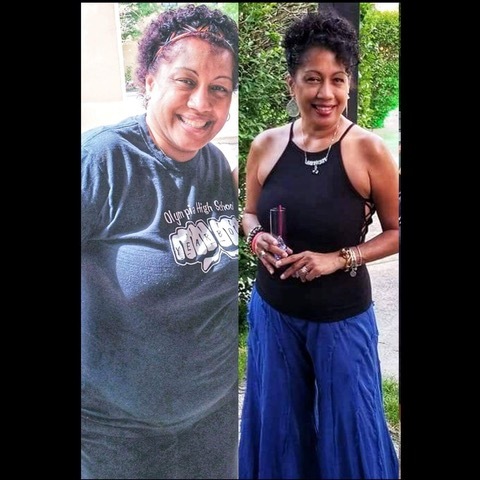 I was overweight, had aches and pains that signaled the beginning phases of arthritis, suffered from common issues like irregular blood sugars and high blood pressure, frequent and debilitating headaches, and much more. I was only in my 30s with two small children and found myself missing out on their childhood. I was often unable to even get my children off to school in the morning or attend their school-related events, tasks which my husband thankfully helped out with. About four years ago, my life changed drastically. I had a facebook friend who had recently become plant-based and often talked about how amazing she felt. She was also losing weight and looked amazing. I wrote off her posts as a bit extreme at first, but I always noticed them and began to get curious about the plant-based lifestyle. I then watched a few documentaries and from that point on, I was swayed to give this so-called extreme lifestyle a try. I dove right in and began experiencing the benefits within a week or two. Suddenly, I found myself with an energy and zest for life that I hadn't ever felt before. There was such a noticeable difference that my husband also asked what was causing me to have so much energy everyday. Over time, I lost around 40 pounds and found all of my health issues to be continually improving. About a year into this way of eating, I got a huge surprise: I found out I was pregnant with my third baby. I continued to follow this plan throughout my pregnancy and felt absolutely amazing throughout! I had none of the usual pregnancy complaints and discomforts. I lost my pregnancy weight in about 8 weeks and nursed my son successfully for the next two years all using the power of a high starch, low fat diet. In addition to losing weight, my depression and anxiety drastically improved, I went off all medications, my blood sugar was completely regulated, and I become a runner and began weightlifting to improve muscle tone and burn off some of that energy that kept me going everyday. I am forever grateful for stumbling upon the plant-based lifestyle and being willing to give it a try. My life has improved in so many ways since that time! In 2011, I took over a small restaurant in my town and shortly after, we turned it into a BBQ joint. Over the course of 5 years, I gained almost 150lbs. / 68kg. I weighed 348 lbs. / 158kg. I also developed severe joint pain and was taking 21 (4,200mg) ibuprofen daily. I had horrible sleep apnea, and eventually was pre-diabetic, had high cholesterol, and high blood pressure. In 2016, I developed severe edema. My hands, feet and legs were always swollen. I saw my doctor many times and the answer was always to throw pills at me. I was prescribed an anti-inflammatory, a pain killer, and a muscle relaxer. They seemed to help a little, but never fixed the issues and the edema persisted. I even had a deep vein thrombosis scan and a couple of EKG’s. I was never once talked to about my diet! Even being a fat guy. In September 2016, I began having severe gastrointestinal pain. On October 3rd, 2016 I was hospitalized for it. They ran many tests, gave me NO answers, did not address my diet, and prescribed MORE medications. Upon release from the hospital, I had a conversation with my 68 year old extremely healthy, mostly plant based mom. Her words to me were “Don’t fill those prescriptions, FOOD IS MEDICINE! Do the research!”. So I did! I was unable to work and am an avid research junkie so I poured through the internet and medical journals for an anti-inflammatory diet. Beginning Oct 5th, 2016 I stopped eating beef, pork, and chicken, and limited my dairy consumption to less than half of what I was eating, and stopped drinking soda. I included turmeric into my diet and started hydrating with lemon and lime in my water. I also limited my refined carbohydrate intake. In a little over 2 weeks, my edema was gone and my blood pressure stabilized into the normal range. 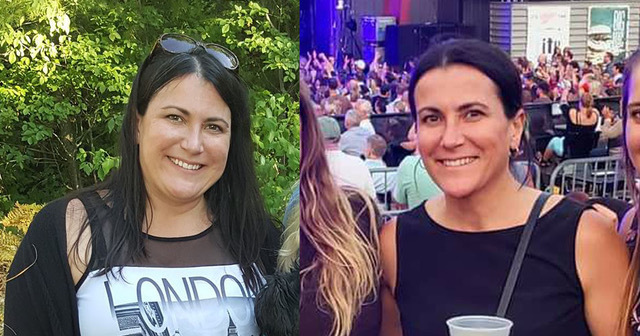 In 100 days, I lost 80lbs. / 36kg!! In February 2017, I watched the documentary ‘Forks Over Knives’ and immediately stopped consuming cheese due to the Casein, Casomorphins, and IGF-1 in dairy (More info on that in my post “Giving Up Cheese & Going Vegan“). Within 3 weeks of ditching dairy, my lifelong struggle of daily anxiety magically disappeared. As I continued to research, I then gave up eggs and fish realizing that I had no need for this protein source in my diet, nor did I need the additional cholesterol. I have now been plant based for 1 year. It is my 1 year “Veganniversary” and I am honored today to be featured on @WeAreVeganuary on Instagram and on their website. BTW, I post what I eat every day on my Instagram account: @respectfulliving1. I also have tons of recipes on this blog so I encourage you to check them out if you need meal ideas. In November, I had blood work done and everything is exceptional! I am currently at 185 lbs. / 85.27kg in 20 months. That is a 163lb. / 74kg weight loss!!! I also got involved with the Plant Based Nutrition Support Group(PBNSG.org) and run a local support group in my community. It is amazing what transformations I have seen. Going Plant Based saved my life, and has changed SO many lives! If you wish to reach out to me with questions or interviews, please visit the contact link. I was diagnosed with breast cancer in December 2016. I had pain in my right breast, and I could feel a hardening, not really a lump. I had a mammogram, ultrasound and biopsy on the same day and got the results a few days later by phone: Invasive lobular carcinoma. Read the rest of Kim's story here. I was going to physical therapy for a non-cardiac related issue and mentioned arm pain to my physical therapist. She just so happened to be a former cardiac rehab therapist and insisted that my therapy stop until I had been seen by a cardiologist. So, I scheduled an appointment and soon after was scheduled for an angiogram. The week after coming home from a nice Florida family vacation, I had the angiogram. The physician did not administer any stents due to the fact that I had multiple high percentage blockages. Instead, the best course of action he determined was to consult with his team to determine the best treatment for my situation. They determined multiple bypass surgery. Stunned and in shock, I scheduled the surgery for May 31st, 2017. In the interim, letting family and loved ones know of my condition, an acquaintance of Heidi's dad told me about Dr Caldwell Esselstyn's research and book. After a very limited research into this, we thought let's do this vegan plant based thing, what do we have to loose? We even traveled up to Cleveland to hear Dr Esselstyn speak after a "what the health" movie preview followed up with a Q&A. Afterward, I approached Dr Esselstyn and quickly told him my situation. He gave me his phone number and I called him the next day. Heidi and I stuck with the diet and began to our new lifestyle. We scheduled to be part of the Dr Esselstyn's course to further educate ourselves for June 2nd, 2017 i think. Heidi and I continued to explore the plant based world which involved explorations to international grocery stores and building a library of wonderful cookbooks both physical and digitally. June 1, 2017 suffered a heart attack. The night before I was supposed to attend Dr Esselstyn's course, I woke up with a very strange sensation in the middle of the night, I could not sit still and felt like I wanted to crawl out of my skin. Heidi woke up soon after and insisted / drove me to the emergency room. I was having a heart attack. I had a stent put in and soon after my stay in the hospital I started cardiac rehab. By then the PB lifestyle was getting easier and I was more motivated. As a side note, at the time the plant based choices where few so, Heidi brought me home cooked wholesome meals to fill in between the PB available pale lettuce scraps on the hospital menu. After coming home from the hospital, I continued on the plant based journey. By the end of the summer I was still getting serious angina pains. So much that anything physical was hard to do. I knew that most Dr's that promote the PB lifestyle do not like surgery as an option unless it is an extreme emergency. One of my blockages was the widow maker. After lenghthy conversations and debating options with Heidi we decided to go for surgery. I did not want to have the "What if" or worry about when the next heart attack was going to happen. I worry alot by nature. So, I scheduled and had the open heart surgery for September 27, 2017. Two surprises happend after surgery; 1st, I only needed a double bypass and second; the menu at the hospital were promoting a PB diet. in regards to the second; several nurses, anesthesiologists, and physicians had watched FOK and WTH and they positioned / altered the menu options for cardiac patients to include those that are plant based. Not sure but these options may be open to other hospital departments. Disappointingly, they are not oil free but step one is accomplished. After my stay in the hospital... rehab (again) from November 17 to February 18. After rehab Heidi convinced me into going to her gym, System of Strength ( systemofstrength.com ). Believe me the classes are extremely challenging and work at your own ability and pace, completely worth it. The high intense cardio, free weight training, yoga and core provide a well rounded workout routine offering. After only being out of cardio rehab for about two months and 8 month post surgery I ran/walked my first half marathon.. My cardiologist was shocked and said "I guess you are doing well". Today. I Love my Plant Based lifestyle! It's been nearly 2 years since Heidi and I started this Plant-Based lifestyle together under circumstance that I wish did not happen. 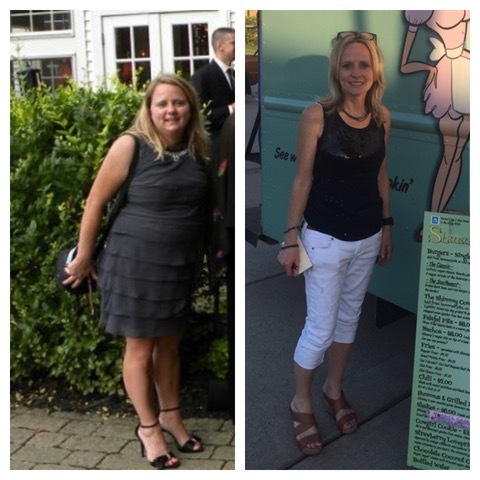 I turned 50 in August and now feel healthier than ever. I am a true believer that you are what you eat and if I could turn back time I would have started this lifestyle years ago to have prevented my heart disease but instead I am on the right track to reverse it and hopefully to educate. My Cholesterol is 92 mg/dL, Triglycerides 71 mg/dL, HDL Cholesterol 52 mg/dL, LDL Cholesterol 26 MG/dL, Cholesterol Total 1.8, Non-HDL Cholesterol 42 mg/dL. Total weight loss 50 lbs (from 200 lbs to 150 lbs). Heidi, will still not tell me her prior weight :) or her weight loss. Heidi and I enjoy cooking together and some Sundays we will cook 5-6 meals at one time for the week or freeze them for a later date. My oldest daughter Brittany is still on the lifestyle and her boyfriend Gabe which she met last year has joined all of us as well. We all enjoy talking about our meals that we make, sharing recipes and new found restaurants as well as having dinner parties with each other. I believe this PB lifestyle has brought us closer as a family. I will admit I do miss having a hamburger from time-to-time and Heidi misses blue cheese and lamb but after educating ourselves and knowing what we know about diet...we will never go back to eating like that again, unless of course there is an end of the world situation and we have to eat to survive- lol. For that situation we are prepared :) I (we) love this Plant Based lifestyle and are in it for life. 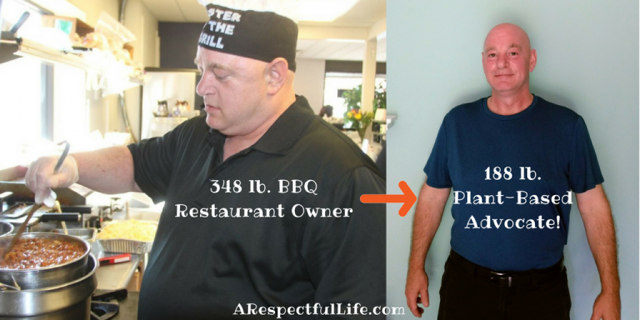 There are many inspiring stories about people who have switched from the Standard American Diet (SAD) to eating Plant Based Food and have discovered that it was the Healthy Solution to so many of their diseases. Most of us are concerned about our health when we gain excess weight and/or have a health crisis. 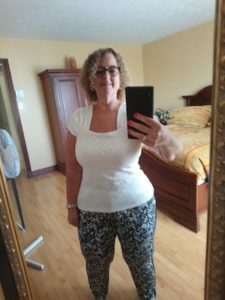 My crisis was that I reached the point where I could not even be referred to orthopedics for knee replacement(s) until I lost 70 pounds which, at that point, seemed insurmountable. I weighed 257 and had previously thought that maybe I could get down to 200, after all, I was a large boned woman. But 70 pounds? There are no coincidences. I realized I didn’t even have the choice of having knee surgery at that point and I was tired of taking pain medication in order to resume traveling. I did not want to have knee injections and that left finding the next diet my plan of attack. My friend, Nora Durbin, saw my plight and gave me the book by Dr. John McDougall - “The McDougall Program for Maximum Weight Loss”. I “devoured” it. It made so much sense to me. Following it didn’t look easy, but I decided to put it to the test and go 100% since that was the only way I could attest to its efficacy. 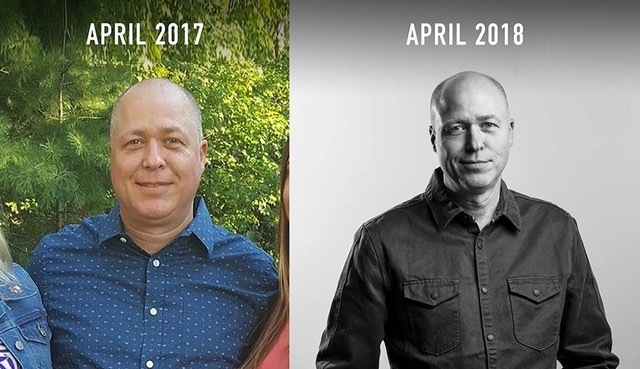 That beginning point was July 13, 2016 and today, 27 months later, I am pleased to say that switching to a plant based diet saved my life. I am no longer on statins, no longer have high blood pressure, am not pre-diabetic, am off all medication (including Levothyroxin for a low thyroid) no more GERD, no more constipation and even experienced a surprise. I had been under medical care for a macular pucker in my right eye. My doctor was about to refer me to an eye surgeon. I let him know I had just started a plant-based diet and that I hoped my eyesight would improve. He agreed to examine me again in 6 months. At that visit, he let me know that my eyesight had improved so much and that I no longer qualified for a surgical referral. So what makes my story any different from the hordes of people who have successfully changed their dietary patterns and restored their health from all kinds of diseases? I would say that it is my age - that I have demonstrated that it is never too late to make good choices for our bodies. I just turned 75 in October, feel like a new woman, have lost 120 pounds in 27 months and since size seems to be important, my dress size is now a size 10 instead of 24. I weigh 137 now. Of course I want to share what this way of eating has done for me. At the prompting of a friend at the swimming pool, I finally started a group on Facebook to offer support, inspiration and help. It is called “Esther’s Nutritional Journey”. Another impressive fact is that we have been on four cruises during this period of time and have learned how to travel and eat light! On our last cruise, the Tai Chi instructor asked me to speak to a small group of people and tell them my “secret”. That video (and others) is on YouTube by searching “Esther Loveridge”. I had the honor of being chosen as a “Star McDougaller” and my story was posted in Dr. McDougall’s newsletter. This summer, I took his Starch Solution Certification Course and in September, I was able to attend Dr. McDougall’s 3-Day Intensive Weekend and thank him in person for saving my life. 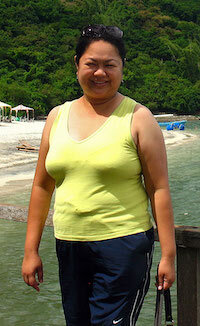 Sharing the joys of weight loss and regaining one’s health is my new passion. What a relief to have found the solution to a lifetime of dieting. The battle has been won. I began my Holistic Healing journey going on seven years ago now. When I first began I was extremely sick and was looking for a natural solution to the 12+ acute and chronic illnesses that I was struggling with. I was seeing my primary care physician and three specialists for two years, and none were able to help me heal myself and the health issues continued to pile on. It wasn’t until they recommended surgery to open my nasal passageway to drain excess mucus, I was on medication to induce my period and I was wearing a telemetry monitor to check on my irregular heart rhythm, that I decided enough was enough. These are some of the illnesses that I was struggling with. This was my catalyst and my WHY for making this lifestyle change. Was it hard at times? You know it. Was it worth it? Considering that I haven’t been sick since… YES. My daughter is also Plant Based and has been her entire life, and she is in amazing health! Every single day I am grateful for this lifestyle and to be able to share this healing message with anyone in need of it! When we heal ourselves, we heal our families and we heal our communities. We heal the planet.